Akhtar [bottom left] is enthusiastic about the Cubs prospects. 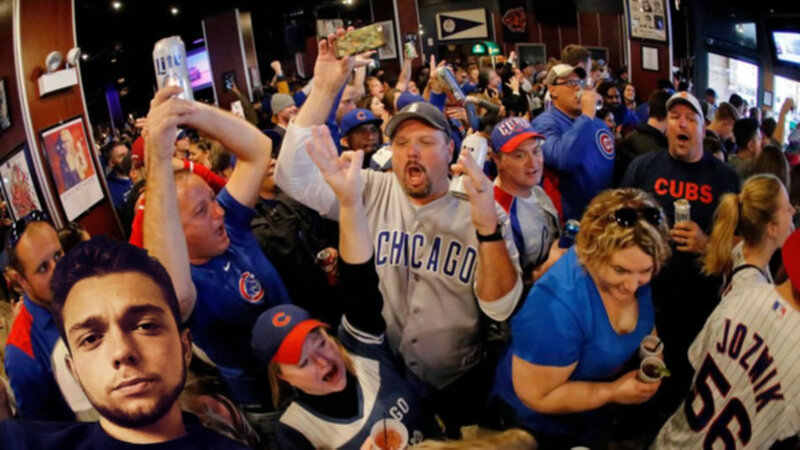 Chicago, IL – The atmosphere is electric on the eve of game seven of the World Series. Legions of long-suffering Cubs fans are busy getting hammered at local bars in preparation for the first pitch, but not so for 35-Year-Old Evanston native Jameel Akhtar. Attending a game with “a bunch of [his] college buddies,” Akhtar is huddled inside a North Side bar, repeatedly declining rounds of alcohol being served to his friends and colleagues. “Cubs all the way, baby!” exclaims Akhtar, seemingly growing aware of his deteriorating social circumstance. He estimates he’s declined “at least four or five rounds” of beer ordered by his friends, and is currently being asked if he’d like a shot of tequila. “Go Cubbies!” added Thornwood, moments prior to urinating himself on the way to the bathroom.